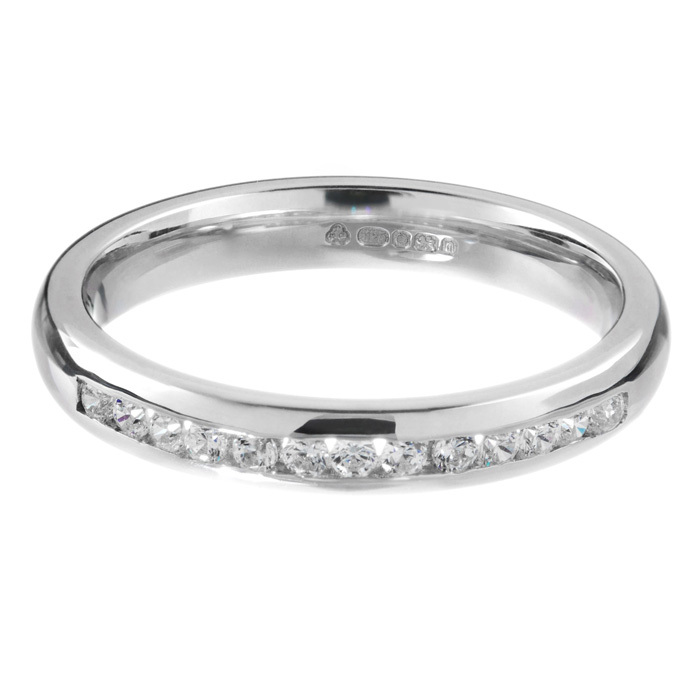 Stunning 3mm wide Diamond Channel set Wedding Ring. Beautifully simple design with subtle detail. 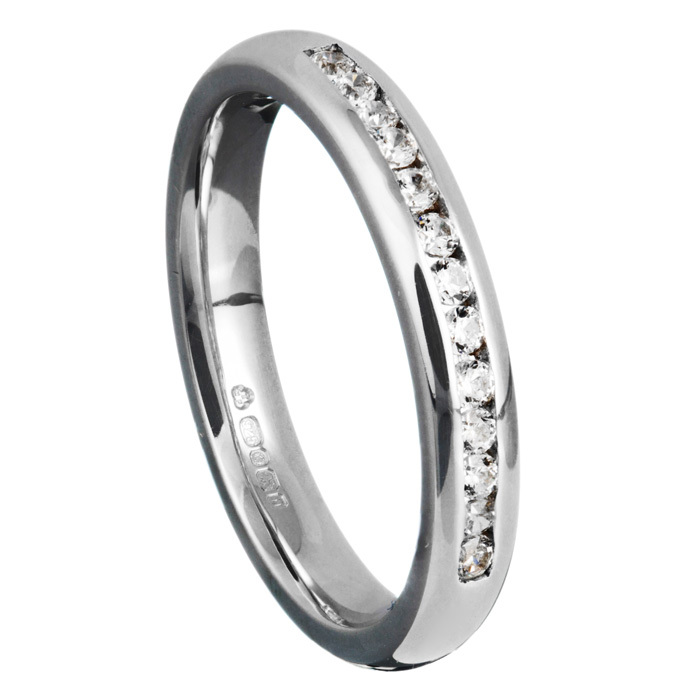 Set with 0.18ct of round brilliant cut diamonds of SI Clarity and G-H Colour. This ring is made to order and takes approximately 5 weeks.